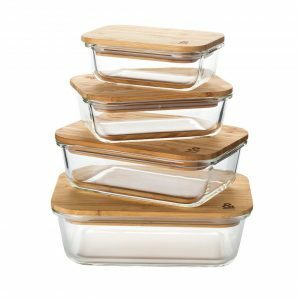 Do you have a deep desire to reduce your plastic usage in your kitchen but are short on ideas on how to store your food? 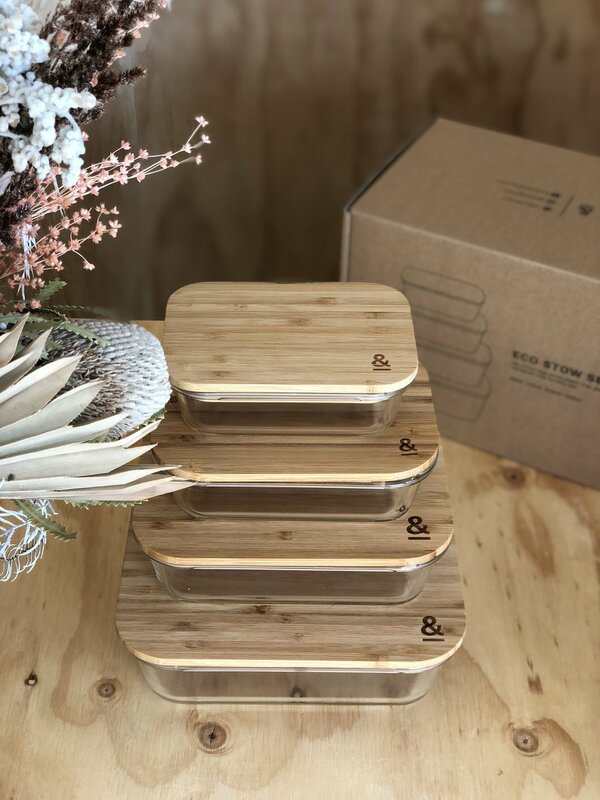 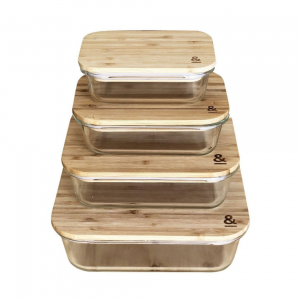 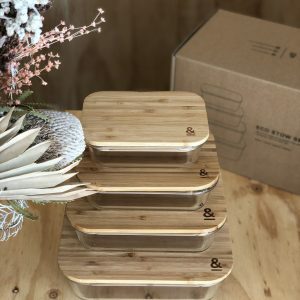 These gorgeous glass and bamboo containers are the perfect addition to any plastic free kitchen. 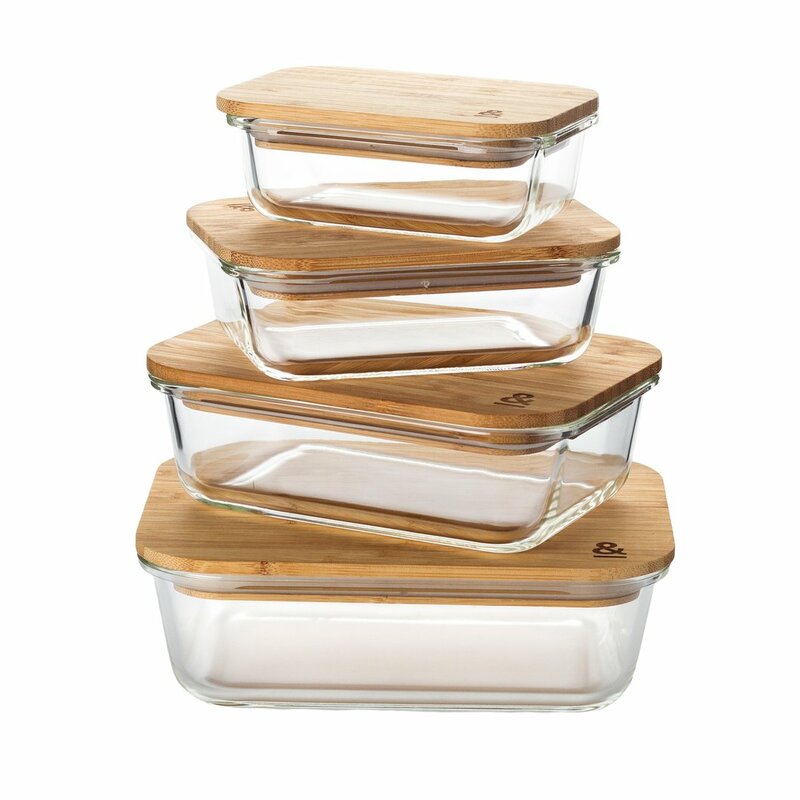 Sleek and contemporary, these containers are beautiful as well as functional. 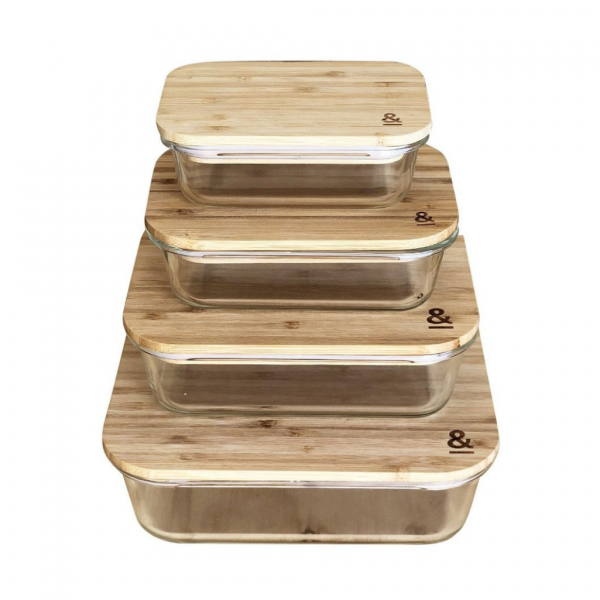 The set comes with 4 sizes to suit a range of storage needs.